Polyisocyanurate (Polyiso or ISO) foam typically is produced using a Hydro-chlorofluorocarbons (HCFCs) as the blowing agent. HCFCs chemical that don't escape during production are mainly left over in the cell of the foam insulation to give it additional R-Value. Polyiso's blowing agent HCFCs are listed as a Volatile Organic Compound (VOC). 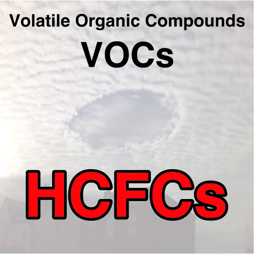 As a VOC, HCFCs may be involved in reactions to produce ozone, which can cause damage to plants and materials on a local scale. 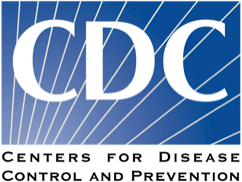 At a global level however, releases of HCFCs have serious environmental consequences. 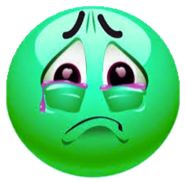 Although not as stable and therefore not so persistent in the atmosphere as CFCs, HBFCs or Halons, they can still end up in the higher atmosphere (stratosphere) where they can destroy the ozone layer, thus reducing the protection it offers the earth from the sun's harmful UV rays. HCFCs also contribute to Global Warming (through "the Greenhouse Effect"). Although the amounts emitted are relatively small, they have a powerful warming effect (a very high "Global Warming Potential"). Not all Polyiso are manufactured using HCFCs. 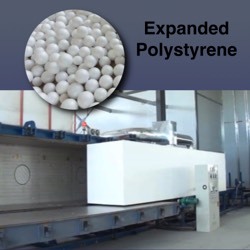 Heat and steam are used to expanded the polystyrene beads and during this process the cells are filled with normal air. During the manufacturing of Expanded Polystyrene (EPS), emission levels are very low due in part to the fact that “air” makes up 98% of its volume. Much research has been done on the raw material styrene and has been found to be perfectly safe in normal uses. 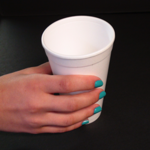 Polystyrene has a maximum styrene content of only 0.1% by weight, and since EPS contains only 2% polystyrene by volume, this minute trace of styrene monomer poses no threat to health whatsoever. A small amount of pentane is incorporated into the expandable polystyrene granules as a expanding agent. It is a saturated hydrocarbon, not to be confused with HCFCs and CFCs. Pentane is non-toxic and constitutes no threat to the ozone layer. Isocyanate is typically formed from methylene diphenyl diisocyanate or MDI. The manufacture of MDI is always done in the factory and involves such ingredients as benzene, chlorine compounds, and formaldehyde which lead to emissions of dioxins and furans; bioaccumulative toxicants, carcinogens and endocrine disruptors. MDI is a known allergen and sensitizing toxicant. EPS does not suffer from the same plight as Polyisocyanurate in regards to “Off Gassing.” Inside of the EPS cells is normal air, the air we breath. This why EPS is considered "The Safe Insulation." 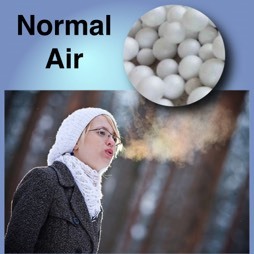 Using normal air does not have the ability to increase the R-Value. In many people's opinions, having a product that is safe for humans outweighs a slight R-Value advantage per inch. The solution is simple just use a little thicker insulation board. The proof is really in the long-term testing. Study after study shows that EPS's R-value stay consistent. The science is simple - air is air. No chemical changes and certainly no higher r-value chemical escaping out. In fact, EPS is 98% air. Plymouth Foam has been monitoring and watching EPS and its effects to the environment near its Plymouth, WI plant for many years. Long- term Government research is going on currently. This is what we can report - there is no pollution to the surface or underground water supplies near an EPS plant because atmospheric and liquid emissions are very low during the manufacture of EPS. The question may come down to is the risk worth the extra R-value? 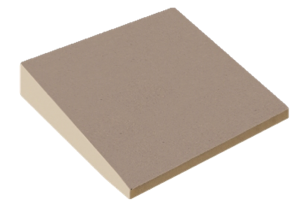 Is having a thinner insulation board better than having a little thicker board? Moisture in roofing insulation is a real concern especially for Polyiso. 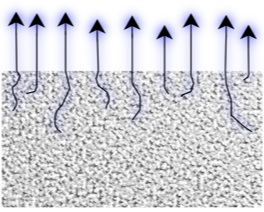 Research has shown that PolyisoInsulation that is wet with moisture, lowers the R-Value of the insulation even more. Even though Polyiso is closed cell it can and does take on moisture. Moisture contamination before construction has also become a big concern. (See ACEA Technical Bulletin) Many contractors have reported ISO Board cupping/warping with moisture/drying contamination. Foil faced Polyiso versus glass faced Polyiso is different. Foil faced tends to deal with moisture much better, unfortunately foil faced is rarely used in low sloped roofing. Polyiso like most products will expand and contract during normal weather cycles. Recently, there has been more concern about Polyiso additional shrinkage after installation. Some of the concerns have been tracked to Polyiso getting wet and cupping. Research is underway to identify the problem. Polyiso does have some design variances but not to the degree of EPS. Polyiso is limited in its thickness, of 4". Standard taper systems are usually limited to 4 system slopes. Polysio does offer a wide variety of facers for various applications both organic and inorganic. Polyiso biggest design advantage is fire resistance. 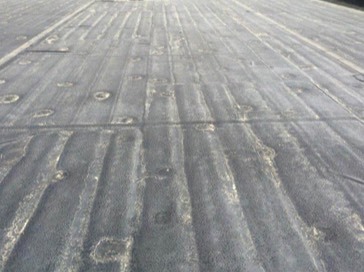 Even though some would argue that the chemical used are harmful, Polyiso does offer good resistance to fire exposure, however the toxicity level of burning Polyiso is much higher than EPS. One of the huge benefits to using EPS insulation is its design flexibility. 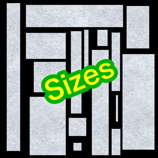 EPS is manufactured in such a to be able to have custom sizes, thickness shapes, facers and densities. Engineered EPS can be designed to hit a certain compressive strength from 5 to 60 psi. Tapered system is another huge advantage to EPS. We make tapered pitch sloped EPS in 16 standard pitches but we can custom make almost anything designable. EPS can also be combined with other material to offer custom solutions. 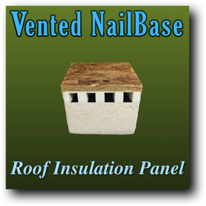 Structural Insulated Panels (SIPs) and Nail Base adhere OSB and EPS together. 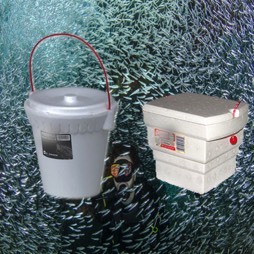 Polyisocyanurate Insulation is used frequently in the construction industry. New information has come to light in regards to the effectiveness and the durability of ISO. New revelation from temperature studies has shown that ISO’s R-value decreases as the temperature goes down. 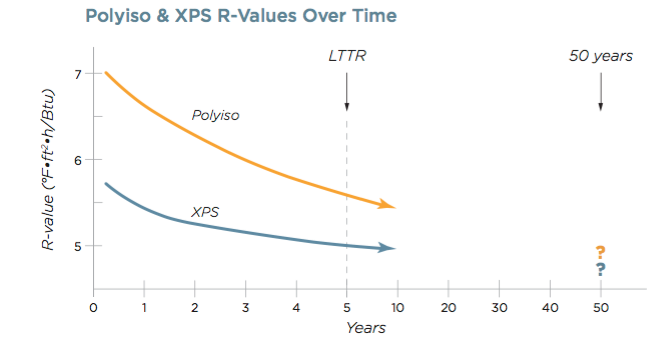 Lower R-value means higher utility costs to operate just when you need the R-value the most. ISO’s R-value decrease, where EPS’s R-value increases as the temperature goes down. In 2017, the National Roofers Contractors Association, revised its recommendation that Polyisocyanurate Insulation revise "its design in-service R-value recommendation to 5.0 per inch thickness." This declaration was the second time Polyisocyanurate's R-value was downgraded in the last 2 years. 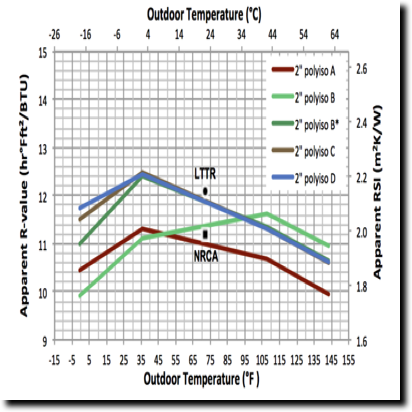 For some of us "Energy Aficionados," who understand the principles of insulation off-gassing, determined it was time to re-examine LTTR testing (View Technical LTTR Bulletin). 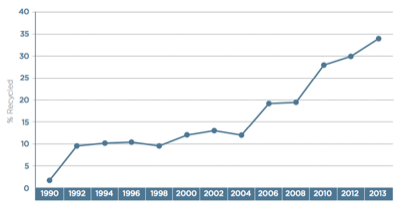 We do not replace insulation in a building every 5 years, why would we think that is long-term? Most building in the U.S. are built to last 50 years, some 100 years. What we use to think about the old “bead board” does not hold true for todays modern high-tech Engineered EPS Insulation. 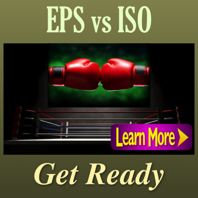 Studies and field testing have proven that EPS may be the best rigid insulation in many aspect. One aspect is that EPS has a very good and stable R-value. 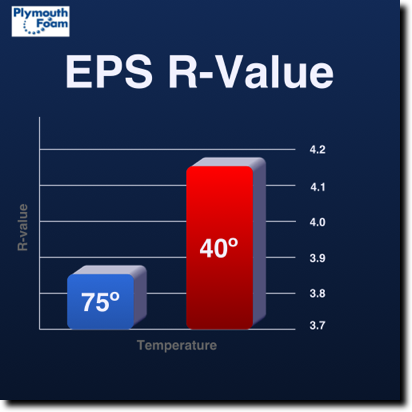 In fact, when temperatures are colder, EPS’s R-value actually increase by over 8%. What makes EPS “the safe insulation” is that no harmful blowing agents are used to temporarily give the product a higher R-value. Not using a harmful blowing agent during the manufacturing process benefits EPS by not allowing off gassing. (What is off gassing) Off gassing is the process of these blowing agents escaping out of the product lower the R-value even more. Everyone knows that Polyiso is very expensive but they try and convince you the R-value is higher and its a good deal because of that. When you analyze the numbers and compare board foot price per R-value inch, Polyiso can cost up to 67%* more. Cost is always a concern for building professionals. 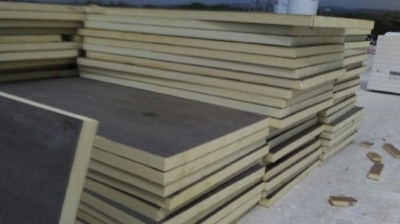 It is common knowledge that EPS cost less on a 4' x 8' bases in any thickness. What is less know is that even when you look at R-Value per Board Foot, EPS still wins out on cost. 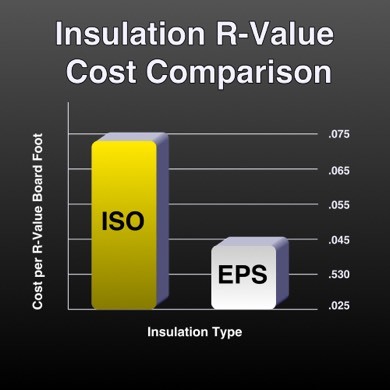 Recent price comparison* shows that ISO can be 67% more expensive per R-Value board foot over EPS. * Cost comparison was shopped on 6/7/17 via Midwest Wholesale and Gulf Eagle Supply (WI) on 1" x 4'x 8' bases. Polyiso was standard glass faced and EPS was DuraSpec 125 roofing Insulation. 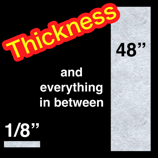 Prices can vary by geography, thickness and types. This information provided is to promote analytic analysis of various insulation technologies, and independent research by buyer should be done. All foam insulation can be pry to insects and moisture seems to only compound the matter. 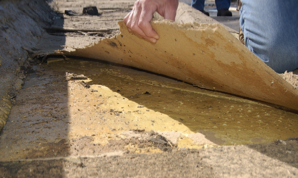 Polyiso can suffer from insect intrusion like other foam boards. Insects entering foam insulation boards can greatly reduce R-value in the area effected. Many experts do not recommend Polyiso below grade for a number of reason including pests. 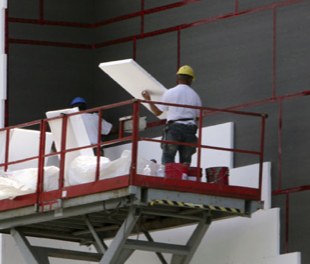 EPS has the ability to safety add a insect resistant product into the insulation. This treatment has a excellent 20 year history off being very effective with termites, ants, wasps, bees and beetles just to name a few. Although no product is perfect against the battle of pest, EPS pest treatment has had great success. Although in some case Polyiso might be able to be reused, it is not likely to be recycled. Claims are made that some of their product content is made from recycled material but that is mainly the facers. Many experts believe that Polyiso is not a very environmentally friendly product due in part lack of recyclablity. There are no collection bins or full scale programs for Polyiso like we see for EPS. 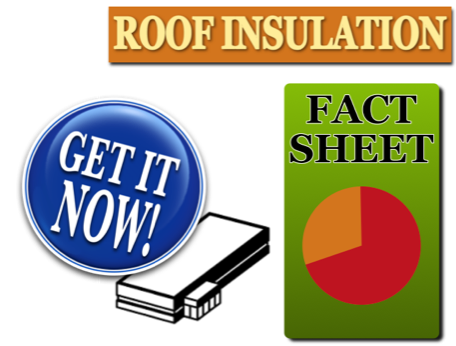 When a roof needs to be replaced, where does that old insulation go? 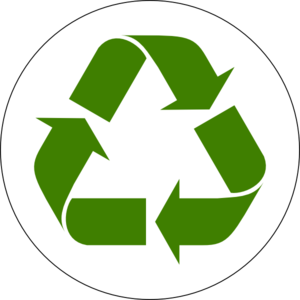 ISO insulation is not recyclable and goes to the landfill. 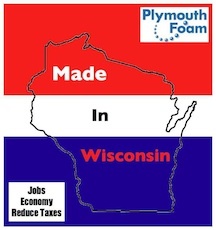 Whether your insulation product is made in Wisconsin is a good question to ask. 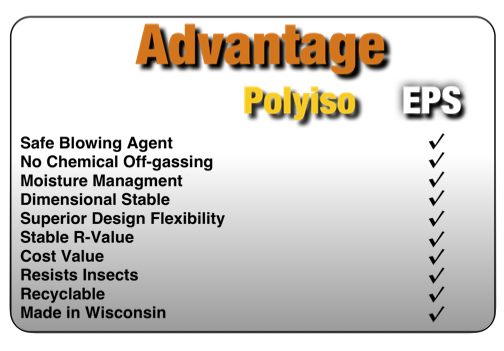 Only one brand of Polyiso is manufactured in Wisconsin. That means most of the products brought in and sold are from outside our communities. Learn More about the benefits to buying local. Unlike ISO insulation, Expanded Polystyrene (EPS) does not suffer from off gassing or thermal drift like the others. 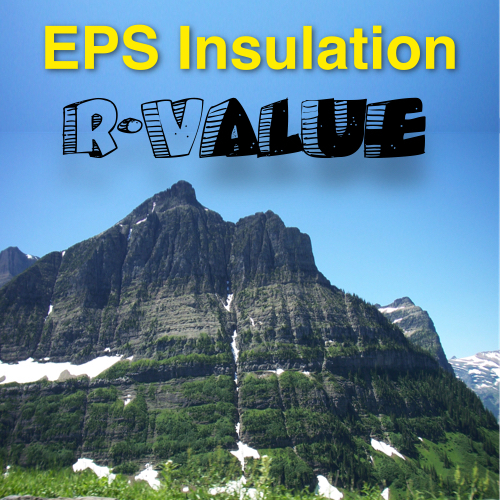 EPS rigid insulation does not derive its R-value from trapped gasses. It traps regular atmospheric air. Air can be replace by air due to any migration but has no effect on R-value. 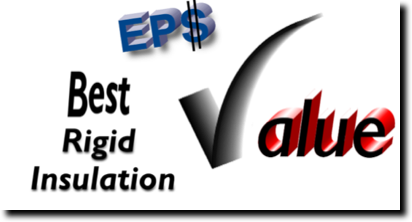 EPS’s R-value staying consistent provides a huge financial benefit for years. Building Energy Models are consistent and more accurate. With EPS, what you pay for in R-value is what you get. The remaining fact is EPS is the best value in regards to R-Value/inch. 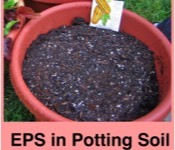 Many Americans enjoy growing and eating fruits and vegetable grown in potting soil which contains EPS. 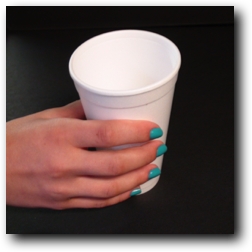 For many years, we have experienced the benefits of drinking hot and cold liquids out of expanded polystyrene. 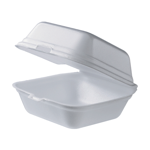 Whether it is for your burger or your doggy bag, EPS provides a storage container for your food.